-- Unfortunately this was a false alarm, but for almost a day there was quite a bit of excitement about something that showed up near the Curiosity rover on Mars. You can see it here, and a closeup here, and though it looks like a dead insect with a bit of imagination it turned out to be a piece of plastic. Dead bug would have been sweet. 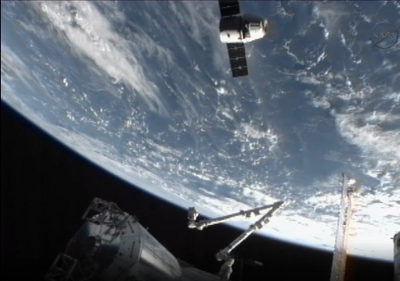 -- SpaceX has sent another Dragon capsule to the ISS, and is beginning to make it look easy. It was only a few years ago when we were yet to be certain that the Falcon 1 would ever succeed, and now using a Falcon 9 to send a Dragon to the ISS is a few missions away from becoming commonplace. And let's hope the HST or other major observatories are making good use of this occasion to learn about them. Vesta we now know of up close, but observing from afar and comparing it to what we know now helps us to better predict what a body will look like in the future. Pallas is a pretty difficult target to approach and I doubt it will receive a dedicated mission in the near future, but Vesta from afar vs. Vesta up close combined with the same for Ceres should aid in better understanding Pallas. Dawn is set to arrive at Ceres in a bit over two years, and is currently 60.3 million km from Ceres and a mere 333,000 km from Vesta, still less than a single lunar distance away.